Inspire your favorite little explorer to dream big with this adorable San Francisco Toddler T-shirt. 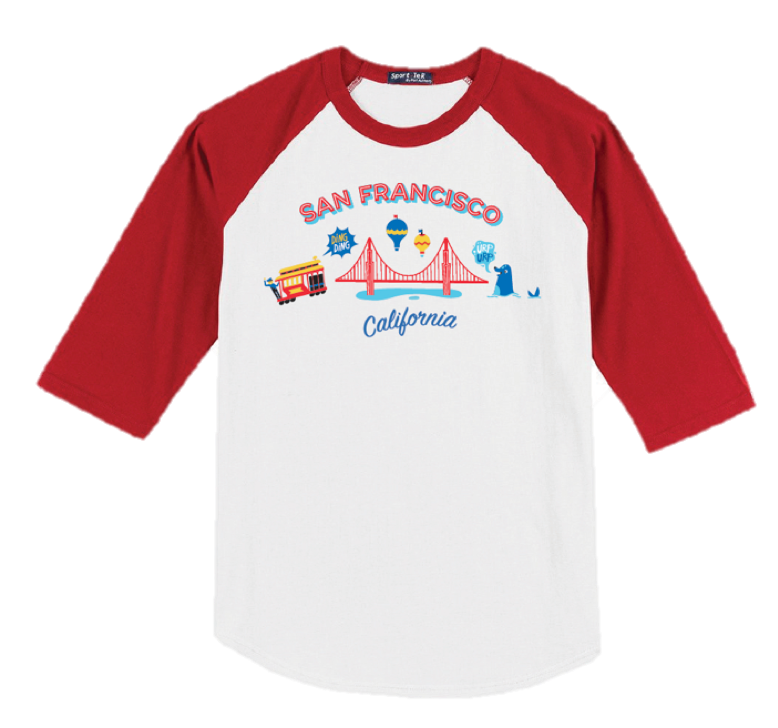 Decorated with charming cable cars, sassy sea lions, and a beautiful bridge, this brightly colored baseball tee is sure to delight even the most inquisitive little mind. Made from 100% cotton fabric, with a classic crew neck cut and ¾ length raglan sleeve, it’s both comfortable and versatile—perfect for all kinds of outdoor adventures. So, whether she dreams of building bridges, or he’s more into saving sea creatures, your little one will love exploring the great big world in this charming tee. Now get out there and get curious—you never know what you might discover! 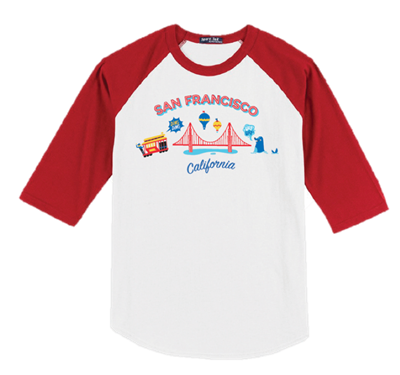 ­Inspire your favorite little explorer to dream big with this adorable San Francisco Toddler T-shirt.